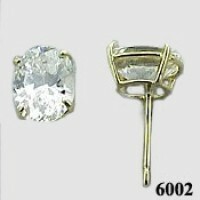 Stock #6002:2 Carat Total Weight Oval Cut Moissanite Earrings. Gorgeous Stones! in 14k yellow gold.